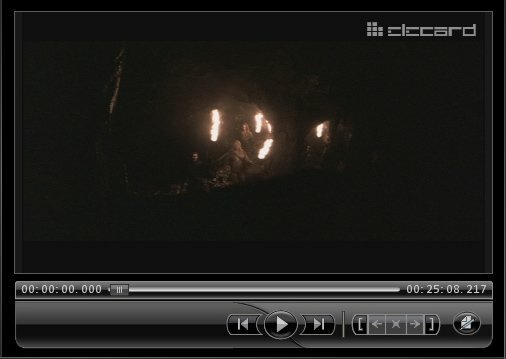 Cluster encoding makes huge multimedia archives conversion a quick and pleasant job thank to sharing encoding load among computers in the local network. The feature of Watch Folder Mode makes this application a perfect tool for quick and content preparation. 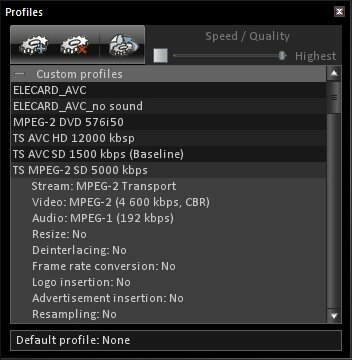 Professionals will definitely appreciate the full control over encoder settings as well as the ability to choose optimal encoding parameters from the profile list. 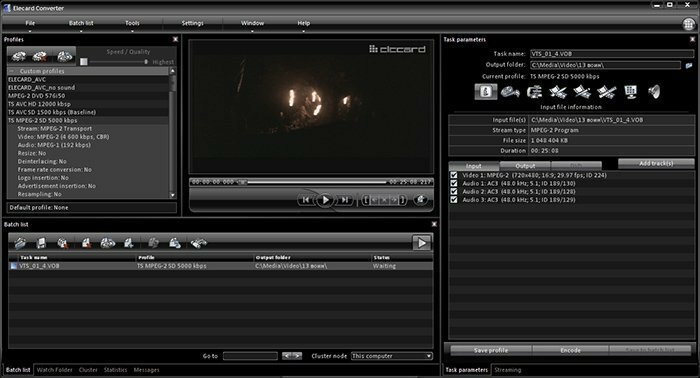 Content creators, broadcasters, digital signage and postproduction companies that work with large amounts of media content will find this product more than just useful for processing data and getting the best. 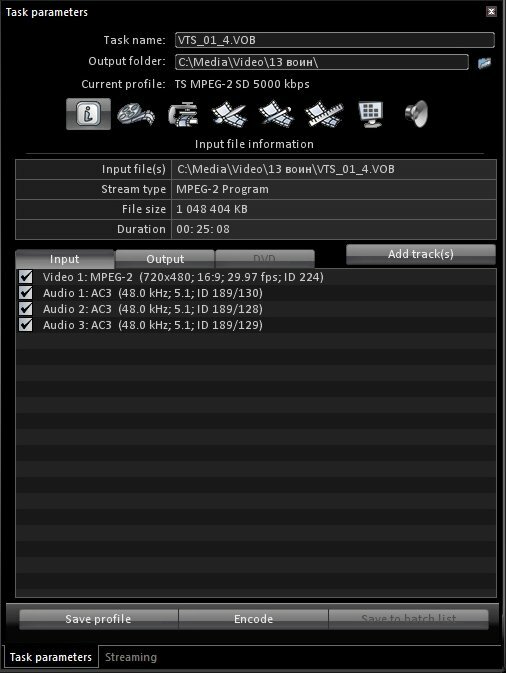 Multiplexing into AVI, MP-4, MPEG-2 PS/TS with Elementary Stream Saving.